The Professional Liability application can be tedious at times but it is how an insurance company determines your premium on Professional Liability. So the more accurate and detailed the information provided the better. A few areas of the application to pay close attention to are the billings, direct reimbursables, project types and claims information. The billings section is the gross billings from specific time periods, depending on the application. Most insurance companies look back two years and also look at the current year information to come up and an average. Some insurance companies also consider the projected year in the average billings formula. Please keep in mind these are billings collected during the specific time period reflected in the application. If you are completing a renewal application keep that time period consistent on each year’s application. Meaning, if you did the fiscal year than continue to provide fiscal year information. If you did calendar year billings, provide that on all applications moving forward. Direct reimbursables are expenses that are reimbursed by your client, such as travel expenses, printing, etc. This does not include sub consultants. Your sub consultants will need to be included in the gross billings unless the insurance company provides a separate line item in the billings section. Sometimes the insurance company will ask for the percentage of sub consultants in a separate question. Project types are important on the application because insurance companies use this to do an evaluation of your firm based on this information. Project types are based on the billings provided for the most recently completed 12 month period. Do not provide the project types of upcoming projects or projects that are completed and billings were not collected for. Claims information is a very important piece of information on the application. If you can provide a claims history report to the insurance company that is helpful. Also, provide details of the claim, is the claim closed how much did the insurance company pay out and lessons your firm learned from the claim. 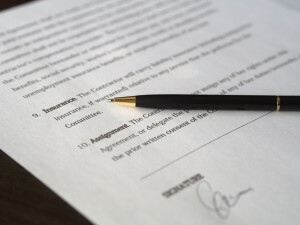 Insurance companies are more willing to look at your firm, if you have had a claim, if you provide details of the claim. If you have questions about any part of the Professional Liability application please call or email your Professional Underwriters agent.